In fact, Natacha Ramsay-Levi is present in the French fashion for years, if you haven’t noticed: first she worked at Balenciaga with Nicolas Ghesquiere and after following the designer, landed a job at Louis Vuitton. But her new role of creative director at Chloé is the first time she’s in the solo spotlight. Succeeding Clare Waight Keller (the Givenchy debut is just around the corner), who kept Chloé in an eternal rhapsody of boho dresses for about six years, Ramsay-Levi also leads a brand previously designed by Karl Lagerfeld, Martine Sitbone, Stella McCartney, Phoebe Philo and Hannah McGibbon. That’s what you call an impressive line-up. 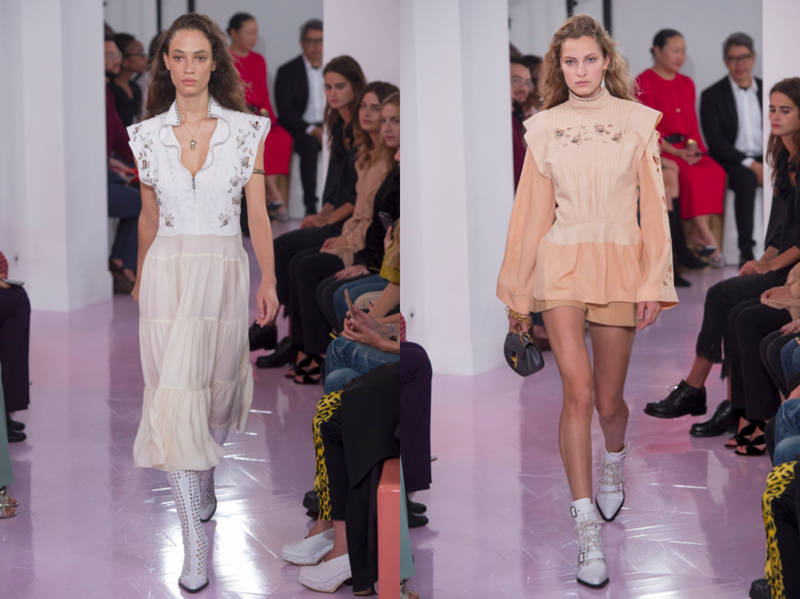 However, the newly appointed designer’s debut was a nod to the Chloé founder, Gaby Aghion. As the show note stated, Natacha decided to stay true to “the independence and intellectual spirit of Gaby”, while embracing femininity and giving women an opportunity to show their inner strength through clothing. And the spring-summer 2018 collection was just that. Don’t want to use clichés, but that what the designer did was the best possible version of contemporary Parisian chic. Structured mini-skirts, dresses of different lengths covered with prints by a Bombay / Barcelona based artist Rithika Merchant, a timeless camel coat, velvet suits in horse motif and celestial bright gowns. A mix of eclectic, well-curated pieces that resemble Natacha’s aestehtic sense – unconventional and intimate at the same time. The accessories were also très cool, from Chloé it-bags (slightly pimped up with heavy-chain handles and straps) to irresistibly good boots. 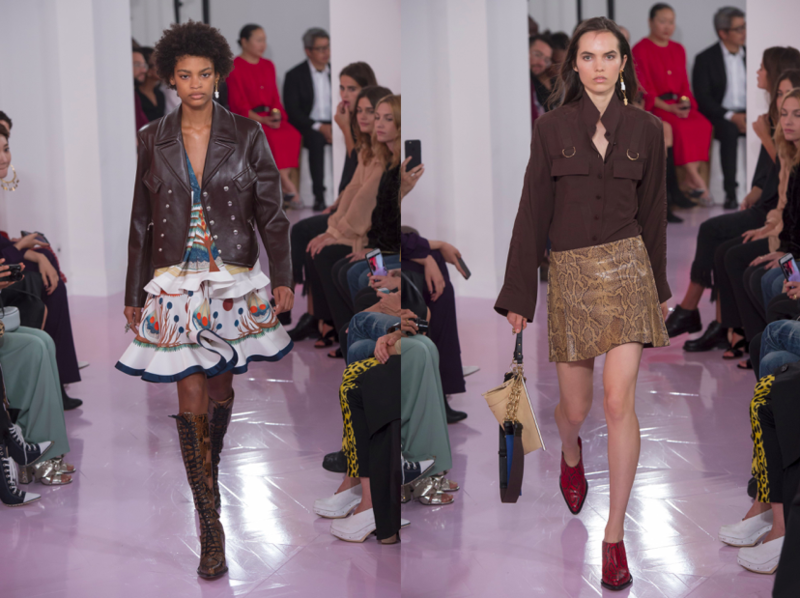 In some moments, the collection felt like Louis Vuitton in the last few seasons – but that reflects Ramsay-Levi’s signatures that used to be hidden under the brand’s logo. The designer’s lesser known, whimsical side was definitely felt through the jewellery. One of the gold-plated necklaces looked like the prehistoric sculpture of Venus. This entry was posted in Paris, Trend Reports and tagged Chloe, Natacha Ramsay-Levi. Bookmark the permalink.